Justine Peters, Killington sharks swimmer, is poised for a backstroke start during a swim meet earlier this summer. KILLINGTON — The Town of Killington Recreation Commission passed a unanimous motion on Monday, Sept. 21 to present a 10 year funding plan for the renovation of pool, pool house, and recreational facilities to the Killington Select Board. The Johnson Recreation Center pool is over 40 years old and repairs for the maintenance of the pool continue to create challenges for the town. Much of the current pool is constructed below the water table, causing external pressure to significantly limit its life, which is estimated to be approximately 10 more years. White’s Pool closing in Rutland City this summer provided an additional example of why the town needs to act to finalize a rebuilding funding plan. The importance of a community pool in Killington was evident this summer. The pool saw strong attendance and program activity during the 12 weeks it was open this summer. “The pool is a not only an important part of the town’s recreation program, but also a major hub for our community,” said Recreation Director Kim Peters. “This summer we averaged over 60 people a day, and hosted dozens of special events, swim meets and other programs,” she continued. 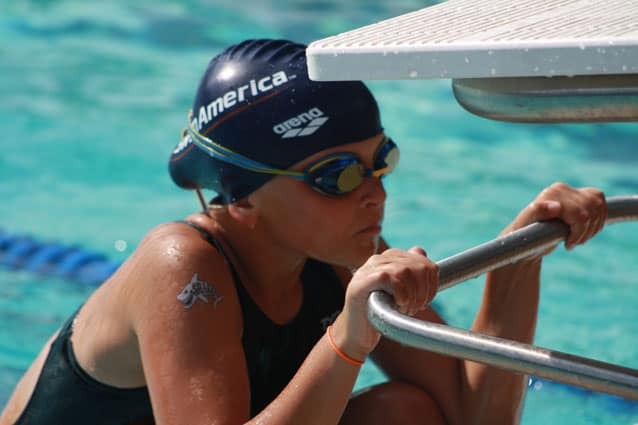 Programs this past summer included: daily swim lessons and swim team practice, summer camp use, and special events including the duathalon and adult lap swimming. In addition the Killington Pool hosted three swim meets, the Tapestry Program from Rutland City, the Fourth of July Celebration and served as the training ground to several swimmers from New Jersey, Rhode Island, and New York who maintained their training schedules while vacationing in Killington. The Recreation Commission plans to incorporate more programs at the pool next summer including: water aerobics, water safety classes, duathlon training for all ages, adult lessons, family reunions, adult lap swimming, and private parties. The Selectboard will review a concept for the 10 year plan at its Oct. 6 meeting at 7:30 p.m. at the Killington Town Offices.